The Mr. T stamp that has been eluding me for so long. As you can see, the Murdock stamp is there, too. Unfortunately, this stamp will continue to elude me as there's no way in 1000 years I'd consider paying $100 for it. Wow. Awesome! 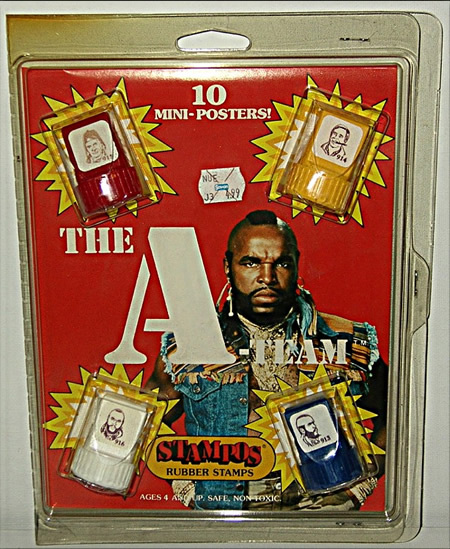 I find it so telling that it's an A-Team set- yet the package image and half the stamps are of Mr. T.